How big is the Kaddy? How can I use a HyrdoKaddy®? 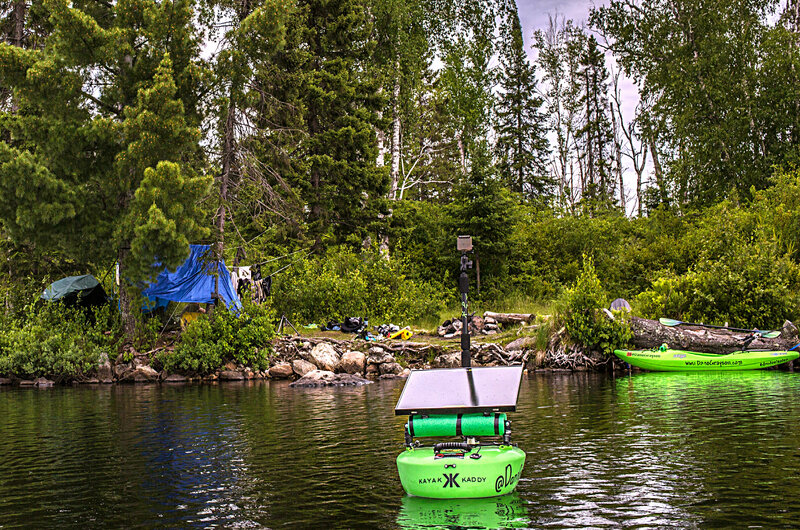 The Hydro Kaddy® can be used in a variety of ways: Kayak storage, SUP storage, wade fishing, spear diving, camping, fishing, and more! The Kaddy can also be used with other accessory items such as: Railblaza, Ram Mounts, YakAttack. Why did you change the name from Kayak Kaddy to HydroKaddy? 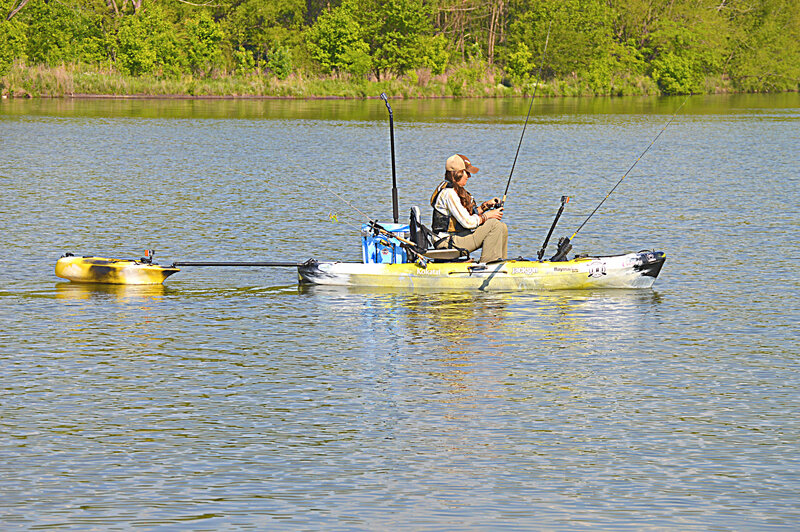 The Hydro Kaddy is designed to be watertight not water proof and has a large, versatile hatch to hold its contents. For electronics and car keys, we would recommend you use a waterproof bag or box in conjunction with the Kaddy. What kind of water can it be used on? are it’s intended use. 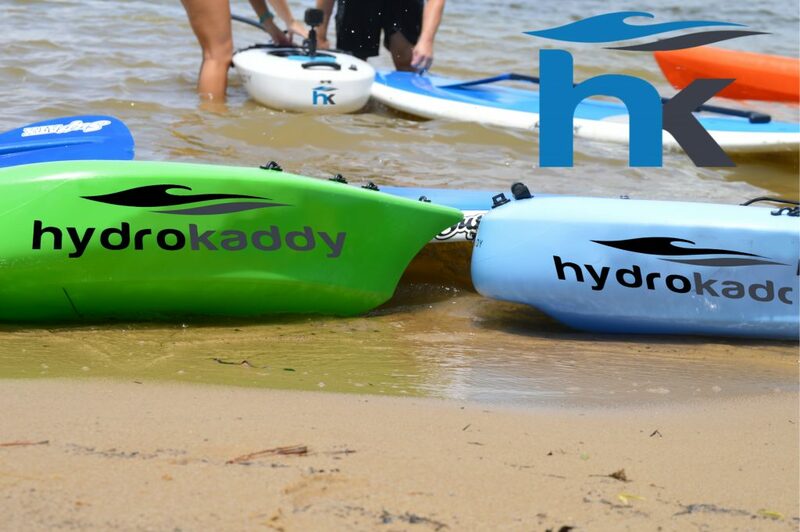 The Hydro Kaddy was designed for novice and experienced paddlers to track your watercraft, so as always we would recommend you exercise caution anytime you are on the water. 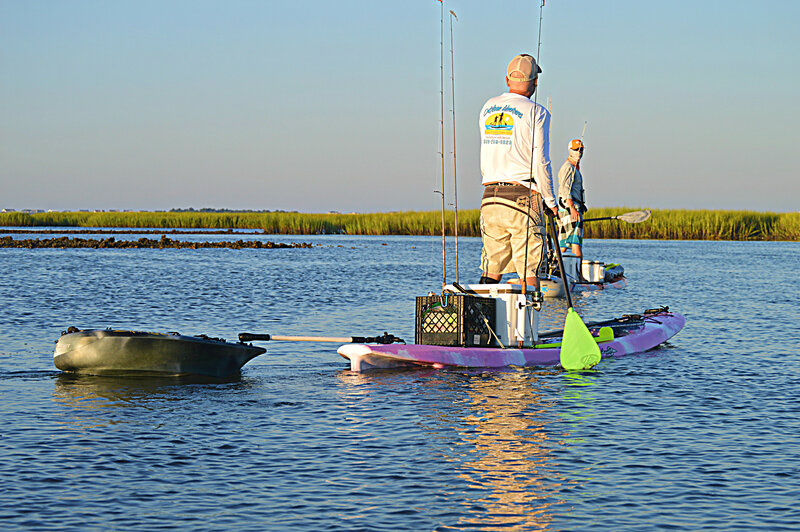 We are providing an additional storage option for any paddler, to take longer trips, and to make things more convenient for them while on the water. Does it keep things cold? The HydroKaddy is not intended to be a cooler. We would recommend that you use a soft cooler inside of the HydroKaddy for optimum results. We have partnered with a trusted Rotational Molding specialist in North Carolina. Envicor Enterprises proudly makes our product in the USA. They also do all shipping from their warehouse. Does this product have any type of warranty? This product does have a 30 day warranty. If you are not 100% Satisfied with this product we will fully refund the full purchase price (purchaser may be responsible for a $30 return shipping/restocking fee). What other ways can I use the Kaddy? 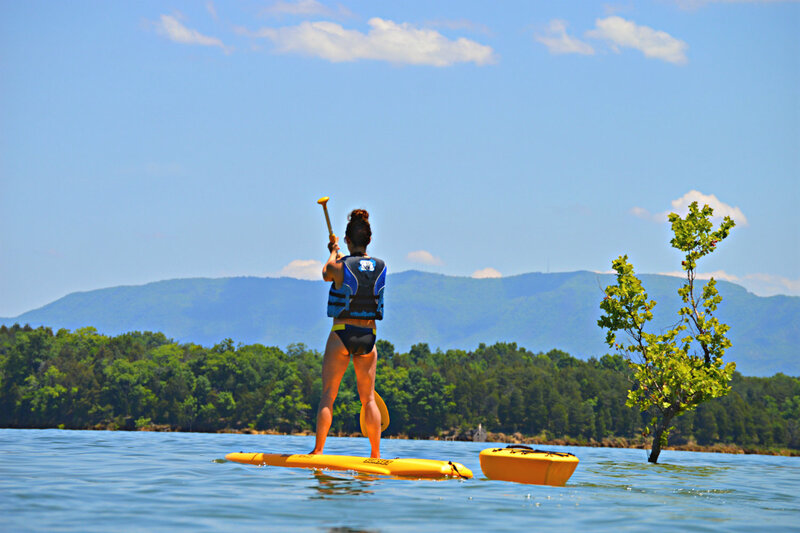 It can absolutely be used for any non-motored watercraft; kayaks, canoes, Stand Up Paddleboards (SUP), etc. 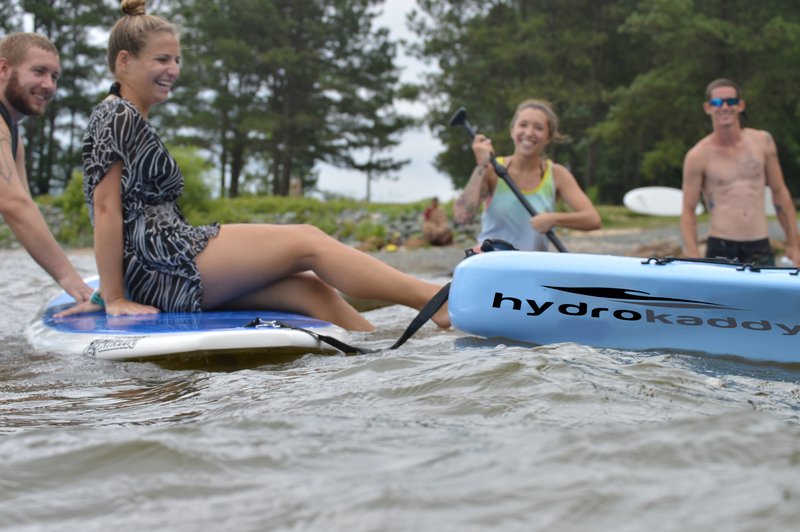 You can also hook up multiple Hydro Kaddies at the same time for even more storage during longer trips. What are my options for connecting the Kaddy to my Kayak or SUP? The HydroKaddy comes standard with an adjustable strap that doubles as a shoulder strap (1.5′ to 3′). If you prefer a more static connection, we suggest using our customizable RamMounts Connector. Click here to learn more. see pics below: Please email us at info@hydrokaddy.com for additional questions regarding towing your Kaddy.